Tea in the Ancient World Thailand. Per first impressions Seven Suns is a stylish modern cafe in a small shopping area that looks like a shop in Ekamai should, simple and pleasant. Being an outdoor cafe it’s a bit warm in March, but at least there are never any problems with cold weather in Bangkok. The tea menu is novel, lots of variety and blends, not the most standard tea and flowers blends one typically sees, but different takes in different directions, more herbs, drifting into fruit elements. Being a tea purist–which really could seem a bit boring to an outsider, I suppose–I picked a nice plain black tea and sat down with Han Mei, the owner, to talk about tea. It turns out he has a background in selling herbs as Chinese medicine, owning a prior business related to that. Part of his current direction is to make teas people will demand with some basis in function, positive health effects. That tea I had was nice. It was a slightly malty, slightly dry black tea, with reasonably clean flavors and good balance. Someone could get hooked on this as their daily tea, depending on preference, and finding interesting, decent Chinese black teas is not a given in Bangkok. But there is a range of options out there, which I’ll go into more later. First more on two much more interesting subjects, teas blended for health benefits and how to tailor teas to Bangkok tastes, to get people started. PHOENIX BALL BLACK – Hong Long Zhu: Incredible hand rolled black tea from Fujian. An aroma filled with cocoa and black cherry similar to a black forest gateau. Rich with autumn forest tones, nuts and stone fruit astringency. It was like that! I would add malt, and the effect of the astringency was unusual, a little dry in a pleasant way, but I’d have trouble going further with describing that aspect anyway. The sweetness and good balance really made it work. About the tea service, I recently reviewed a cafe where they just didn’t seem to know tea. They presented a teapot with two cups of tea infusing in a large pot with no way to stop brewing while you drink the first cup, and later they made no offer to refill the pot. In other places they leave you alone to brew gongfu style or walk you through that as need be, which at least is functional, if potentially a little tricky. 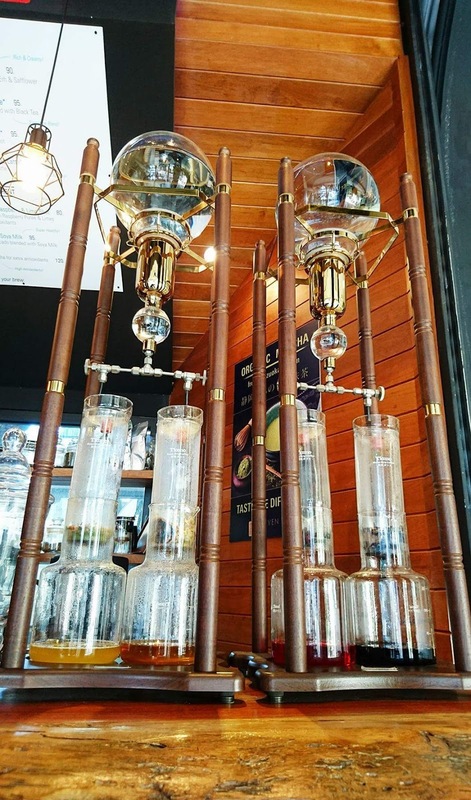 It really shouldn’t be that hard to put some simple system in place, and they had it sorted out at Seven Suns, in this case using an unusual Western style infusion device, a suitable alternative for the tea type. We didn’t get too far into this subject but since I’ve been drifting into it lately I’ll pass on some of what Han said. His family business in England was in Chinese medicine, one he’d continued here on his own, so he drew on a lot of prior exposure. I didn’t get the impression that he’s trained as a medical herbalist, although he may have more knowledge and exposure than many with formal training that do get around to making extensive claims. I asked how all that works and the answer was basically what you’d expect. One would go to see a specialist, similar to a doctor visit, and explain symptoms or other health related factors. There would be a limited degree of examination, in a slightly unfamiliar form per Western medicine, taking a pulse, looking at your tongue, etc. For what it’s worth Han that said there is a lot to be learned from the appearance of someone’s tongue, related to health status, perhaps similar to my masseuse telling me that I had a specific type of back problems once when giving me a foot massage. Next this specialist would prescribe a custom treatment, related to resolving ailments or supporting organ functions. He never extended this to discussion to the more exotic concepts of internal “heat” or “wind” but for a skeptic it would all seem headed in that direction, the description of improving liver and kidney functions. Of course if it all really worked the specialist could describe the treatment in terms of magical spirits or astral planes and it wouldn’t matter if these existed or not; regardless of cause and effect it would still be working. This shop has little to do with all that; it was more just an interesting tangent, to me. Han uses this knowledge to create blends designed for certain effects, more closely related to nutritional supplements than medicine, for example, a tea and herb blend designed to offset the impact of stress. It’s a bit more “one size fits all” related to causes and resolution but then I do just sit at a desk a lot of the week, just like lots of people in this city, so I suspect there are health-issue related patterns that repeat. That’s only one direction he’s going with tea, and to me the next main one is more interesting, enabling entry to interest in decent tea. Prior to getting into that, I will mention that Han is experimenting with cold drip brewing, using a really cool looking device really designed for coffee. There isn’t much to say about that yet since he’s still experimenting, so I’ll rejoin that line of thought later if I try some. He’s also experimenting with tea and alcohol cocktails. It’s a lot, right, traditional plain loose teas, blends, health related blends, new brewing techniques, and alcohol blends / tea cocktails, many of which might sound familiar. But he’s really just getting warmed up; his mission is really to figure out how to ramp up interest in real tea. This was the subject we talked about most: what will get people in Bangkok into tea. The traditional tea cafes are coming, it’s just taking time. 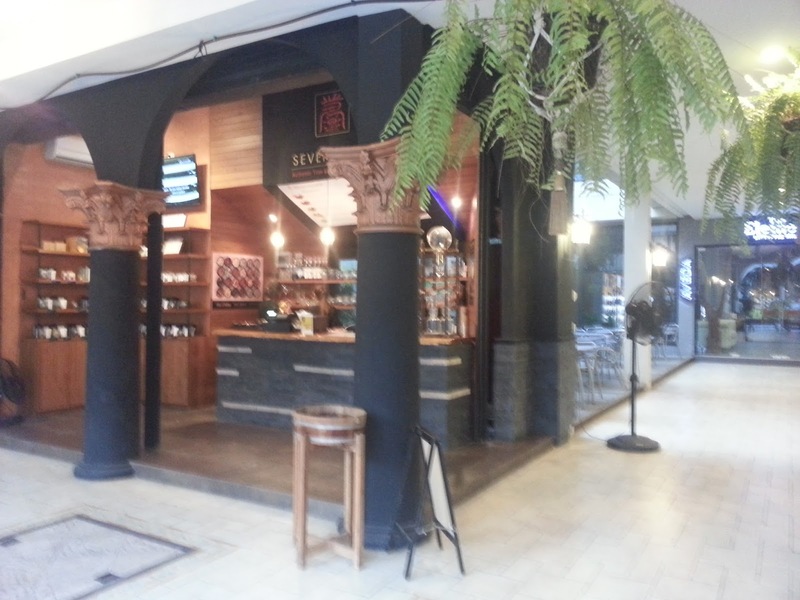 One cafe a few blocks away does a Zen-oriented theme (Peace Oriental), and I reviewed another new one recently that seemed to draw on the modern early-industrialist-aesthetic artisanal-product theme (Luka cafe). A few Chinese people here drink Longjing and Tiekuanyin and Dahongpao, closer to the page I’m on. It has since occurred to me that the most obvious entry “gateway” might be hiding in plain site: the thousands of “bubble tea” or powdered Thai tea stands crowded next to every major commuter exchange point. Of course Han is looking for the next step instead, pushing past that and RTD teas. Seven Suns does sell a relatively conventional brewed Thai iced tea, the orange one, just of course not made from powder. The most obvious gateway is herb and floral blends; nothing so new about that. His take is new, making it his own, and tying it back to function, to health benefit. These are mostly prepared in cold-tea ready-to-drink forms since this is the tropics, through use of novel combinations. It’s hard to describe one tea that really made me think he’s onto something new, but then we were talking more about the general approach, and it would’ve helped to actually try a blend to get the effect. He’s also still working on the expectation for soda-sweet products without sacrificing the health function that comes with a drink not based on lots of sugar. That’s a tough one. The easy way out seems to be to put a small pour-bottle of simple syrup on the counter, as Japanese people have used for a long time, and let customers ruin their own tea. Han didn’t seem comfortable with that, as if it was faltering at the last step and dropping the vision, so he tries to balance more natural flavors. In my experience from seeing other tea-bloggers’ paths people naturally seem to go this route on their own, moving from blends and sweetening teas to better plain teas prepared well enough to be experienced just as they are. This might not come across as interesting as it was to me, that they’re selling iced tea blends, something Snapple started decades ago. The interesting part was combining these different ideas in this way. Snapple was tea stripped of what tea is supposed to be on lots of levels, if good for anything only as a starting point. More recently people in Bangkok have only traded the bottles for artificially flavored powders that someone else stirs into water for them. Although I’ve not really done justice to Seven Suns product range in this I’ll move on to a bit about the tea landscape in Bangkok, sort of an overlapping subject. Seven Suns (this place): a great resource for traditional, plain teas and blends, and a cafe stop for hot and iced teas. 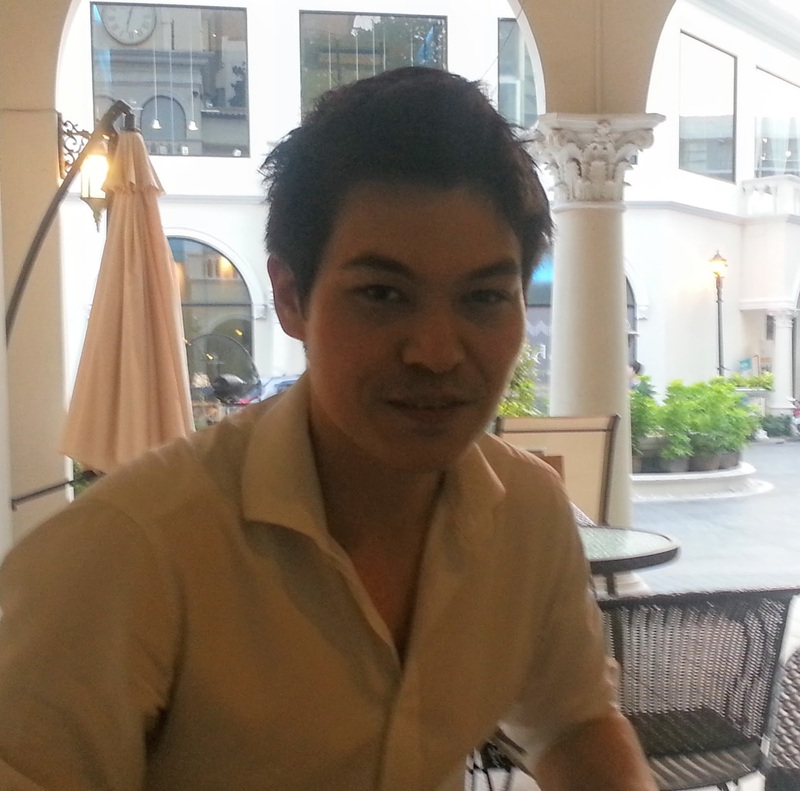 In Ekamai, an older trendy Bangkok area. Great value for a broad range of products (in the Starbucks price range), including take-home loose teas and blends. Double Dogs: the old-style Chinese tea cafe in Chinatown, off Yaowarat, the main road, comfortable if a bit plain and dark. The traditional Chinese teas are nice, just a bit costly (a pot of tea around 300 baht / $10), unless you compare them to even more costly newer cafe alternatives. The value isn’t great for loose teas given that it’s in Chinatown but better teas aren’t as easy to turn up as you might expect, even there. 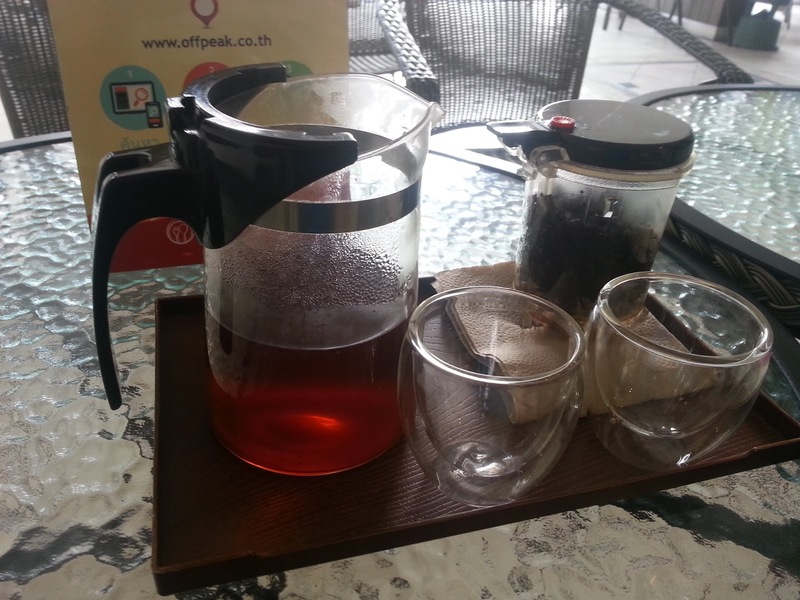 Peace Oriental: also in Ekamai, going for the Zen-cafe higher-end specialty tea market. 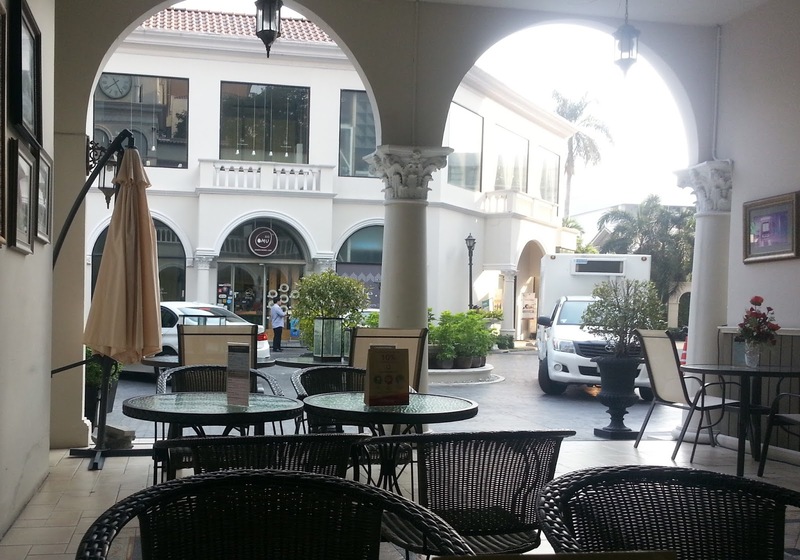 This is a modern, quiet, pleasant place to drop $20 / 600 baht on a pot of tea, unless that pricing sounds absurd. But that’s really just how the economics work out for that business model and product range since that quality level of tea is not easy to find, and the theme isn’t based on volume sales. Dry loose tea pricing (take-away) is still eye-watering but more feasible. Peony tea shop: basic teas, blends, a mall-cafe chain, moderately priced. For a tea purist further along the curve there might not be much here of interest but for someone starting on floral blends or basic loose teas it’s fine. At least they’re not going to try and sell you a tea bag, or at least I think they wouldn’t. Luka cafe: a newer entry, that trendy modern-artisanal early-industrial-vibe place I mentioned. The teas seemed nice, definitely better than ordinary types, worth checking out, but as a coffee shop with more focus on food there’s really no emphasis on tea, they just happen to be selling good versions. Rocket cafe: a trendy coffee shop that crosses over into loose tea, with more focus on food. So this is exactly what Luka is, just the 1.0 version, where that concept stood a couple years ago, with more ordinary grade teas, and less interesting decor and food. Since Luka was a bit too trendy and cool for me, really, I’d feel more comfortable grabbing a lunch here anyway. Tealicious cafe: mostly tea bags, some real loose tea; a Sathorn tourist area cafe. This is the problem with limited tea awareness; a cafe could sell tea as tea bags with the owners and customers thinking that’s ok. It’s really not ok. It’s just as well to drink an instant coffee instead, or better still to drink a cup of hot water, tastier. Bridge Cafe and Art Space: one of thousands of places selling ordinary teas in Bangkok, but at least they had a reasonable version of the traditional Thai iced tea, brewed to order using an espresso machine, not the only place I’ve seen that. This is really where tea stands here in general. Twinnings: the one cafe I’ve not been to–so no link–but too obvious not to mention. Who hasn’t had Twinnings teas; some are ok, some not that ok, just don’t buy the tea-bag versions, and pass on the English Breakfast Blend, but maybe others I’ve not tried are really good. The cafes are geared towards people having a nice tea in an impressive mall cafe with lots of wood and ceramic and polished metal decor. Bangkok hi-so’s are just as likely to appreciate high prices as a sure sign that they are in the right place. Mind you these are only cafes. Two shops come to mind as stand-outs, my favorite in Chinatown is the Jip Eu shop, and the mall-based Tea De Zhang shop is the main one that “tea people” in Bangkok frequent. There are other places to get tea here in town but nothing I’ve turned up on the same level, except online, which I won’t go into.